BRUSSELS--(BUSINESS WIRE)--His Excellency Antonio Tajani, President of the European Parliament, stressed the importance of joint efforts to ensure security and stability in the Middle East during a meeting with Her Excellency Dr Amal Al Qubaisi, Speaker of the UAE Federal National Council (FNC), on January 9 at the headquarters of the European Parliament in Brussels. 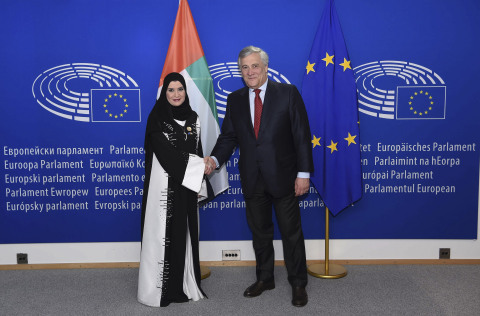 Commending the developing relations between the UAE and the EU, His Excellency Antonio Tajani praised the UAE’s approach of promoting tolerance and empowering women and youth, and appreciated the UAE’s declaration of 2019 as the Year of Tolerance. He also highlighted FNC’s role in driving international parliamentary efforts to counter terrorism and extremism. 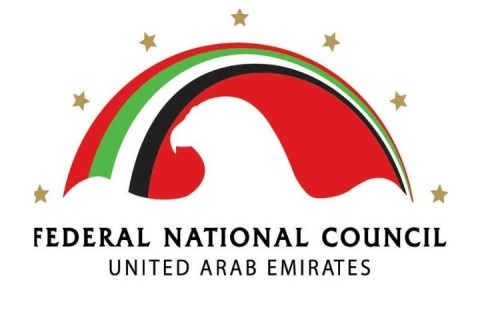 The two dignitaries discussed ways to enhance relations between the UAE and EU countries. They emphasized the importance of collective commitment among the world’s nations to avoid instigating sectarian tensions and supporting terrorist militias, as well as joint efforts to combat terrorism and extremism and eliminate sources of funding for extremist ideologies. She also discussed the UAE’s position on the legitimate restoration of its three islands occupied by Iran through direct official negotiations or recourse to the International Court of Justice. Furthermore, she called on the EU to leverage its strong relations with relevant countries to reach peaceful resolutions to crises around the world, and to urge Iran to stop undermining the stability of the region through sponsoring terrorism.